A photographer was left fuming when an award-winning magazine which prides itself on its 'stunning photographyu2019 published an image he had posted on Flickr without seeking permission. A photographer was left fuming when an award-winning magazine which prides itself on its ?stunning photography? 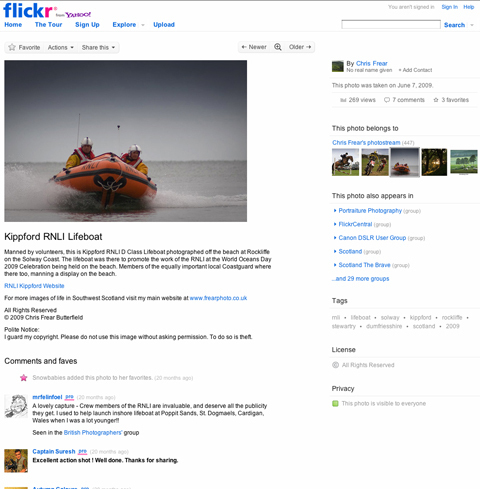 published an image he had posted on Flickr without seeking permission. Freelance rural photographer Chris Frear was visiting his mother in hospital when he opened the latest issue of Dumfries & Galloway Life to discover one of his lifeboat pictures in its Notebook column. ?I blew a gasket,? said Frear who has been a professional freelance for the past six years. The photographer ? 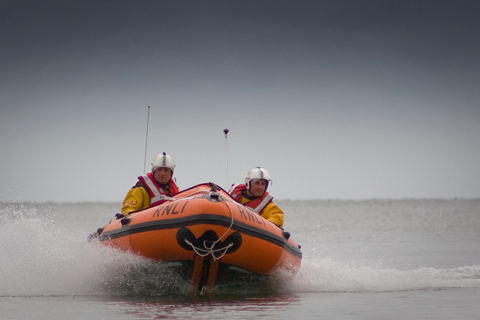 who contributes to national magazines such as The Field – captured the image of RNLI crew members last June at Rockliffe, on the Solway Coast. He shot it using a Canon EOS 30D digital SLR. Amateur Photographer (AP) understands that staff at the monthly magazine found the image following a search on Google and admit it should not have happened. Frear claims staff sourced the photo from his Flickr page (see below) where the photographer states: ?I guard my copyright. Please do not use this image without asking permission. To do so is theft.? However, the row then escalated when the photographer highlighted his plight on the photo-sharing website, showing the magazine article alongside the image which he labelled ?stolen?. Richard Eccles, editor and publishing director of the magazine?s publisher, CN Magazines, said he is unhappy that Frear also alerted the magazine?s other freelance contacts over the matter. ?He has gone public with this campaign,? he told AP. Eccles refused to comment further, other than to say he hopes to resolve the matter with the photographer privately. Eccles said he is waiting to hear back from the photographer following an email he sent yesterday. At the time of writing, the two parties appeared to be at a stalemate.